DESCRIPTION : Step 2. Dr Arty Artman's 7 Step Guide to illustrator awesomeness! 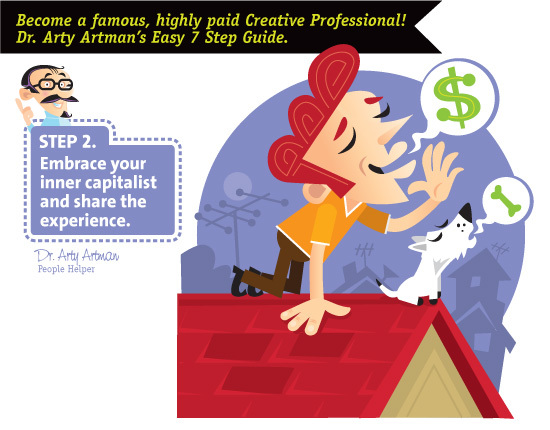 All creative types...it's time to EMBRACE YOUR INNER CAPITALIST! Just because you might be a soft-touch, tree-hugging creative type, doesn't mean you can't learn to love money. Every morning you must tell yourself "I WILL become FILTHY RICH!" But don't stop there. Go outside and yell it to your neighbours and if they're not home scream it to their dog!